In Guatemala City the authorities and citizens are working to build their very own model of economic development. Its main theme is to maximise social communication. It is intended to achieve this and other goals in this new era of peace, after a civil war lasting 36 years. Accordingly, the Municipality has presented its new Municipal Development Plan to the people  it’s called Guatemala 2020. 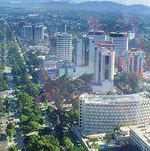 Guatemala City, since its inception, has been the centre of the country’s economic and political activity. Today the metropolitan area makes up 78% of the nation’s gross domestic product. Tradition has taught us that the city was first conceived in its urban planning as a place to live above all else. Nevertheless, over the past 60 years the city has undergone an enormous growth in population and infrastructure, which has favoured industrialisation. So taking into account that we are living in a post civil war period, it is appropriate to ask ourselves if we are actually any better off than its people were a century ago. I believe that this is the moment of coming together and reorganising the social texture, the autonomous and decentralised municipal government - and the backbone of the country, which is Guatemala City. We have in our hands a very valuable opportunity to heal old wounds and reconstruct the broken social bonds that have prevailed in our society as a consequence of mistrust and fear. Such feelings still prevail in our community even after the signing of the political peace. My political experience during these years, and especially my rapprochement with the city neighbours, indicates to me, that after having signed the peace, there is a pending task for both authorities and citizens. This task, which is to build the social peace, will be completed with our daily work being undertaken with a sense of unity. This, and no other, is my ultimate purpose as Mayor of Guatemala City. We are of the firm conviction that purely physical investment needs to be tempered by investment specifically supporting the people of the city, so that the general aim of projects will be to improve quality of life. “The City for Living In” is a vision of Guatemala City where all citizens can go about their daily lives in harmony. An efficient city can enable us to have a good standard of living, but we also want to guarantee a high quality of life, which is all of the former and much more. The Municipal Development Plan Guatemala 2020 has been designed through consultation with community members and members of civil society organisations. Guatemala 2020 is a sustainable development plan made up of three principal thrusts: social solidarity, environmental responsibility and economic competitiveness. Social solidarity is about ensuring Guatemala becomes a city where its inhabitants can enjoy a richness of culture and an improved quality of life through better public services and equitable development. Environmental responsibility aims for a safe and healthy place to live, where citizens can be involved in efforts to optimise the use of communal space, while also taking care of them and our resources. Economic competitiveness is about making Guatemala a city where a strong productive base guarantees each and every citizen the opportunity for development and a better quality of life. All three of the above-mentioned points are inextricably interlinked, and the improved quality of life they bring should be the beginning of an upward momentum for the city. In an age of service industries and cybernetics, businesses are no longer concerned with physical location, but rather the existence of a good quality of life and high level of social capital. It is no longer enough for Guatemala City to lead Central America in aggressive business development while neglecting social and environmental issues. Quality of life is a necessity for the city of the future. These days it is impossible not to take into account the competitiveness and collaborative framework in which nations are bound. Thus environmental responsibility and solidarity are integrated and become pivotal to economic development. This is understood as being a strategy for bringing people together, of mutual recognition, of working in harmony - all of which brings about social consensus. The Municipality understands the immensity of the task in hand, and therefore takes very seriously the need to involve other actors in the process, namely central government, the private sector and the citizens. Perhaps the most important group to emphasise here is the people, and how they are being involved. The principal mechanism being used for citizen involvement in decision-making is the neighbourhood committees, or CUBs. The 14 districts of the city and 54 delegations are divided into 660 neighbourhoods whose representatives of the CUB are elected by popular vote. A portion of the property tax is designated directly to the CUBs to be used for small projects of their choosing, according to priorities they identify on a yearly basis. Part of the criteria for earmarking funds is by an indicator that reflects unsatisfied needs in the district, thereby allowing extra investment for more needy neighbourhoods. On the macro level, there are four massive projects that constitute Guatemala 2020. These are the Transmetro, the creation of a new organised land use system, the greenbelt, and the revitalisation of the historical city centre. The Transmetro is a public transportation solution, and one of the largest infrastructure projects, and investments of the Municipality. It is a means to achieve a better quality of life. Exclusive lanes will permit reduced travel times, adding, for the average user, over an hour to his or her day. The increased capacity of buses, along with the more fluid circulation, will help to optimise costs and reduce pressure on the tariffs. Through a new routing system, kilometres travelled will be reduced by nearly a third  a great saving in noise, air pollution and fuel consumption. New security measures at bus stops and closed circuit cameras on buses, will ensure that the frequent cases of armed robbery that occur on buses will decrease. Therefore, with the Transmetro, there will be reduced travel times, reduced operational costs and pollution, and a definite increase in citizen safety. This is a project that has been designed to fulfil the need for social solidarity. Another trend in our city, as in many other cities around the world, is that the central areas are being depopulated, with increasing numbers commuting into the centre from the periphery and neighbouring municipalities. The new land use plan aims to reduce this trend, and also the precariousness of some of the housing, by giving incentives to practices that aim to regenerate run-down areas in the city, simplifying the regulations and legal procedures for construction, and making these easy to understand and accessible for all the population. Consequently, the new land system has been thought out with a view to making real the idea of keeping neighbourhoods alive. Linked to this new land use system are plans to create a greenbelt. The few remaining green areas of the city are under pressure from construction, despite their (often) unsuitability due to steepness of incline. There will be two types of area created  those where construction will be prohibited, and those whose development will be strictly controlled to ensure minimal and responsible construction. As a result, the greenbelt will bring to life the idea of environmental responsibility since it will also protect and enhance water resources. The final grand project of Guatemala 2020 is the revitalisation of the historical city centre. This area of the city is home to the largest concentration of heritage sites in the city, and at risk from the large influx of buses, a concentration of informal business and a general lack of care. The Transmetro will be one of the principal parts of the solution, removing 80 per cent of the bus routes from the centre, becoming a disincentive for the informal sector to concentrate its activities there. A cultural and green corridor will be created, running from North to South. This project will definitely strengthen economic competitiveness by creating new jobs and attracting national and foreign direct investment to the city centre. Finally, I want to mention the fact that Guatemala City is an ethnically diverse capital, constantly growing and changing. It is a city seeking to rebuild its social and political structures. I am convinced that carrying out all of the above-mentioned projects represents a broad process of reconciliation with the coming together of a population that through our administrative intervention has started to converge in realising common goals and objectives. Guatemala City is a place where social values such as solidarity, tolerance, and communicative action are being promoted. It is a city where we are working to create a global society that will become more understanding and inclusive in the near future. Above all things, it is a city for living in. Degree in social and legal sciences at the University of Rafael, Landívar, Guatemala. He has taken an active part in Guatemalan entrepreneurial development and has participated in international seminars and meetings in different parts of the world. His career has been linked to the tourist, commercial, and industrial sectors, as well as to public administration. Before dedicating himself to politics, he served as the Director of the Guatemalan Tourist Institute from 1978 to 1981. In 1982 he was elected Mayor of Guatemala City for the first time. In spite of his victory, a military coup prevented him from assuming the duties of the position. The military junta then offered to nominate him as mayor of the city, but he refused. Later on, he founded a civil committee called the “Plan for National Advancement” (PAN) and with its support ran in the mayoral election of 1985, where he won a decisive victory. In 1989 the civil committee became a political party and, with the help of this new organisation, Mr Arzú ran in the 1990 presidential election but without success. In January, 1991, under the government of Serrano Elías, he accepted the position of Minister of Foreign Relations. After nine months, he resigned over disagreements with the general policies of the administration, which ended in an internal coup. In 1995, he won the presidential election for the period 1996-2000. His first important initiative was to support the peace process. After ten months of bilateral meetings with the guerrilla forces, the Arzú administration finished the negotiation process that had been drawn out for six years during three previous administrations. During his administration, government spending quadrupled, especially in areas such as education, healthcare, infrastructure and security. This spending obtained significant gains, such as an approximate 10% decrease in illiteracy and in the mortality rate; a five-year increase in life expectancy; a reduction in crime; an increase in electrical coverage of the country by 20%; the doubling of the number of paved roads; a 300% increase in telephone coverage; a 25% increase in the minimum wage; a 3% decrease in inflation in simple numbers; and a 20% increase in the PIB. He left the presidency in January of 2000 and served as a delegate to the Central American Parliament from 2000-2004. In 2003 he ran for the third time as candidate for City mayor and was elected with 141,840 votes. He took office in January 2004, and has been directing the largest city in Central America, enforcing different projects in infrastructure, social and economic development for the inhabitants of Guatemala City with special concern for children. He has been awarded various honours and recognitions nationally and internationally including the Prince of Asturias and International Cooperation Award (1997) awarded by his Royal Highness Prince Felipe de Borbon, of Spain; the Feliz Houphout Boigny Prize, awarded by UNESCO; the Galardón Monseñor Leonidas Proaño Award, conferred by the Latin American Association for Human Rights, and an honorary doctorate from the University of St Paul in Chicago, among others. He has also cultivated the Arts and artistic sensibility. 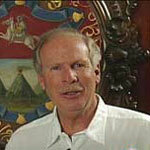 He has a special interest in Guatemala Folk Art, Classical music, the Bel Canto; plays the piano and guitar. Soccer, swimming, cycling, golf, horse riding. He has been national champion of squash, which he still plays.